ResMed (NYSE: RMD) is acquiring MatrixCare, the Minneapolis-based health care software platform that specializes in senior housing and care, in a $750 million deal. The transaction, announced Monday, allows San Diego-based ResMed to expand its out-of-hospital Software as a Service (SaaS) portfolio beyond home health and hospice and into skilled nursing and senior care, while using its expanding software portfolio to drive growth in ResMed’s other growth segments: treating sleep apnea and lung disease. MatrixCare’s software platform includes electronic health record, payroll, claims processing, leads and referrals, and nutrition management. MatrixCare’s net 2018 revenues are targeted at $122 million, with a pro forma EBITDA of around $30 million. ResMed’s purchase price represents a valuation of 25 times MatrixCare’s pro forma EBITDA. ResMed has expanded its software portfolio the past two years, mainly through acquisitions. Its $800 million purchase of Brightree in February 2016 gained ResMed entry into the home health care market. In May, ResMed acquired HEALTHCAREfirst, expanding the software platform into hospice. ResMed’s goal is to offer solutions across the care continuum, as U.S. health care policy increasingly places a premium on more coordination among different provider types. 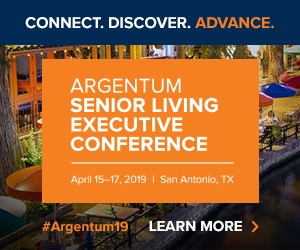 Within the care spectrum, ResMed sees strong growth potential in senior housing, CEO Mick Farrell told Senior Housing News. MatrixCare serves more than 15,000 clients in senior housing, life plan communities and skilled nursing. As the aging population grows and the health care industry becomes more constrained, flexibility in how to treat customers will become paramount. MatrixCare will operate as a standalone company. CEO John Damgaard and his team will remain and report to ResMed President, SaaS Business, Raj Sodhi. Farrell said he found the strategies of the two teams to be in alignment early in negotiations. ResMed expects to close the deal within a couple weeks. ResMed is not the only technology provider that is making moves to expand its capabilities across various care settings. MatrixCare competitor PointClickCare — a Mississauga, Ontario-based company that provides EHR software to more than 15,000 long-term and post-acute facilities and home health agencies — is focused on this goal as well, through a new strategic partnership with Chicago-based PreparedHealth. PreparedHealth’s enTouch technology enables more seamless communication among hospitals, skilled nursing, home health and other providers.